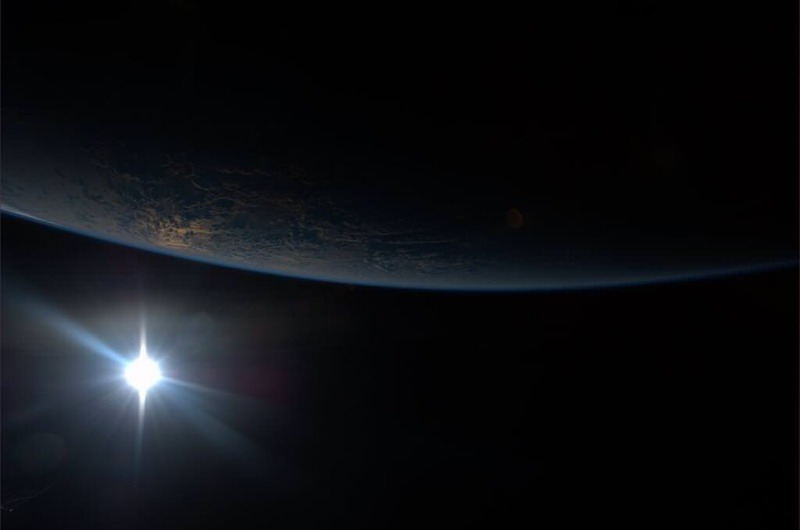 This is just a gorgeous shot of our home planet from the International Space Station, shared by astronaut Karen Nyberg via Twitter. While many pictures of Earth from space show a bright view of our planet, this view of the world plunging into darkness provides a unique, not-often-seen view. If a picture can be this beautiful, imagine what must look like in person. Nyberg is sharing her experiences via Twitter and also — I believe she is the first astronaut sharing on Pinterest. She describes herself as “Aspiring quilter, crafter, artist” (perfect for the Pinterest crowd) in addition to being an astronaut by day, and said she hopes to do some crafting in space if she has any spare time. Nyberg has a special board for “Hair in Space” (which includes both bald pates and gravity defying hair,) hoping to inspire the younger generation of women to get interested in space exploration. “When girls see pictures of ponytails, don’t you think it stirs something inside them that says, that could be ME up there!” Nyberg writes. It’s cool that at some point soon, the average individual can start searching space for finds like this. There’s so much out there that we haven’t discovered.